Integrated doorsets - The next logical step in performance doorset development. 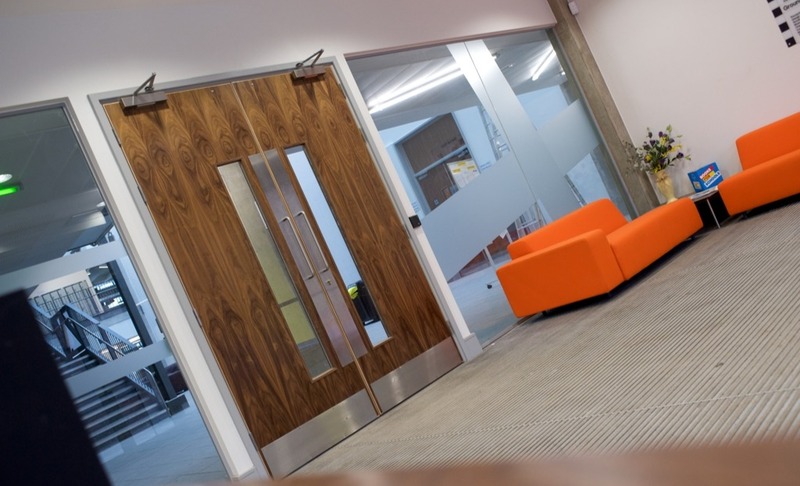 The integrated performance doorset solution has been created so that all the components of the doorset (door leaf, frame and performance critical architectural ironmongery) are fit for purpose, work together as a unified product and meet certified performance levels. Because all the components are assembled in a quality controlled factory environment, as opposed to being supplied separately, performance is guaranteed and achieves significantly improved on-site quality along with time savings. 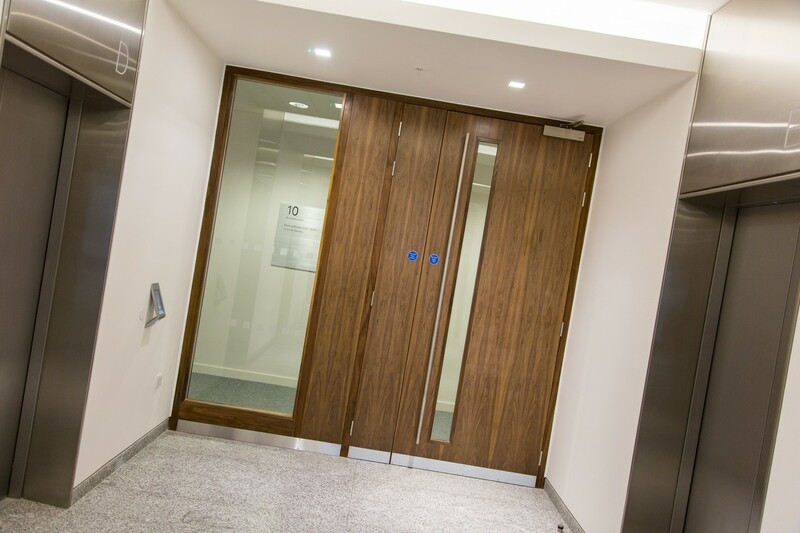 This is exactly the same level of improvement we experienced some years ago as we progressed the market from door leaf only to the performance doorset comprising door leaf, frame and hinges. Our product offering places strong emphasis on stringent testing and third party certification wherever possible. We can provide the most comprehensive data available anywhere in the market. Part of making life easy. The performance characteristics of a doorset are dependent on all of the component parts working together. Only by testing the complete assembly is it possible to ascertain its true performance in a fire, smoke, acoustic or mechanical test. 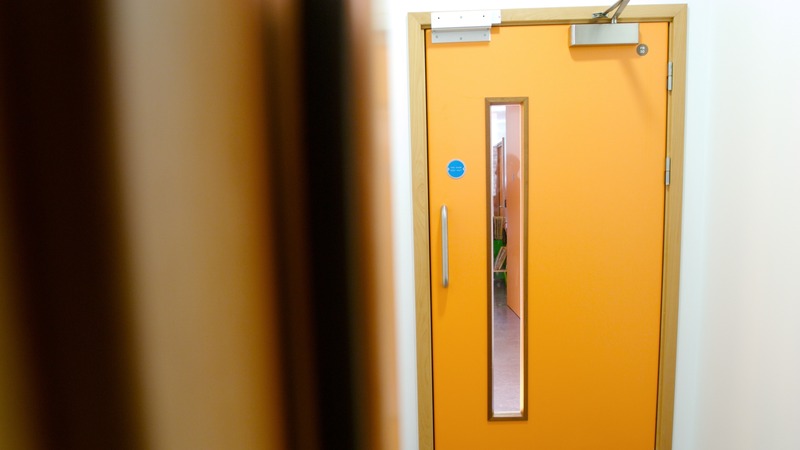 All Leaderflush Shapland integrated performance doorsets are fully certified to recognised performance standards across the range, while all our fire resisting products are manufactured under the BWF Certifire and BM TRADA independent product conformity schemes. We also ensure all items of performance critical architectural ironmongery adhere to our certification requirements. This avoids the inadvertent use of non-standard components, which could undermine and diminish the fire, security, or acoustic performance of the doorset installation. 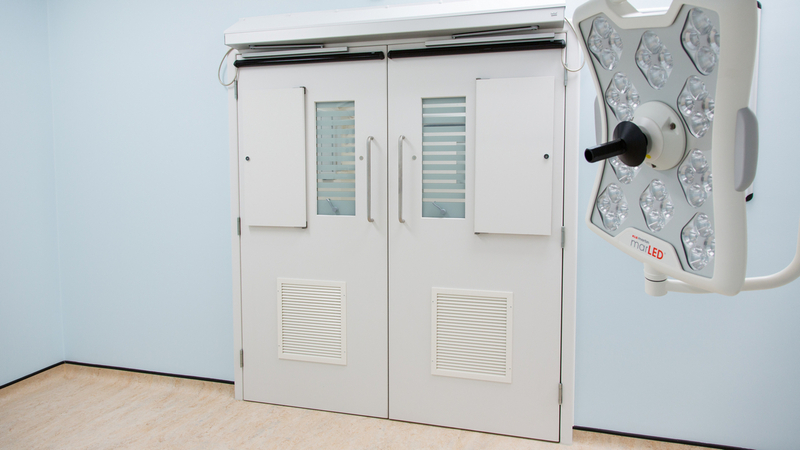 Why specify a fully integrated doorset? 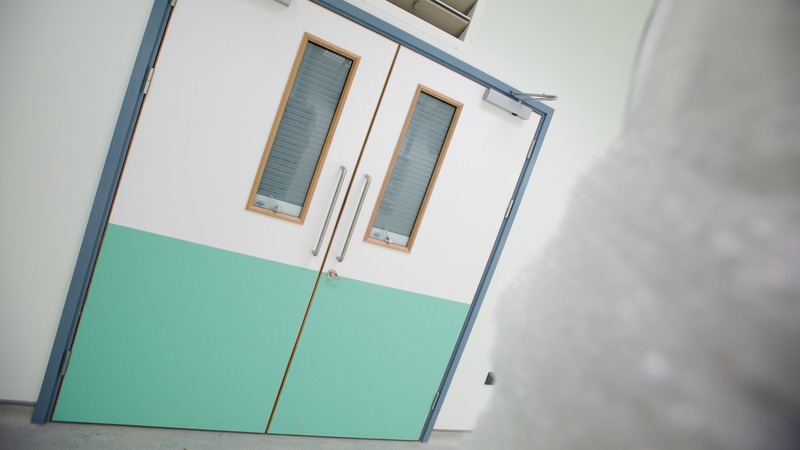 Our doorsets are fully compliant with relevant Building Regulations, Technical Standards and Department of Health recommendations. 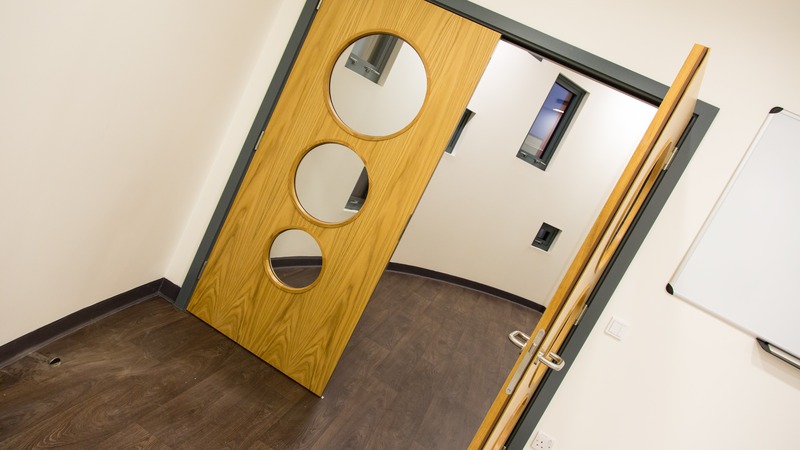 Attention to detail is an important aspect of a complete, integrated performance doorset. The factory preparation and, in the case of non-projecting hardware, fitting of the architectural ironmongery produces the quality of finish which simply cannot be achieved on-site. Our factory prepared architectural ironmongery and supply of all items that make up the doorset ensure a greatly enhanced appearance. 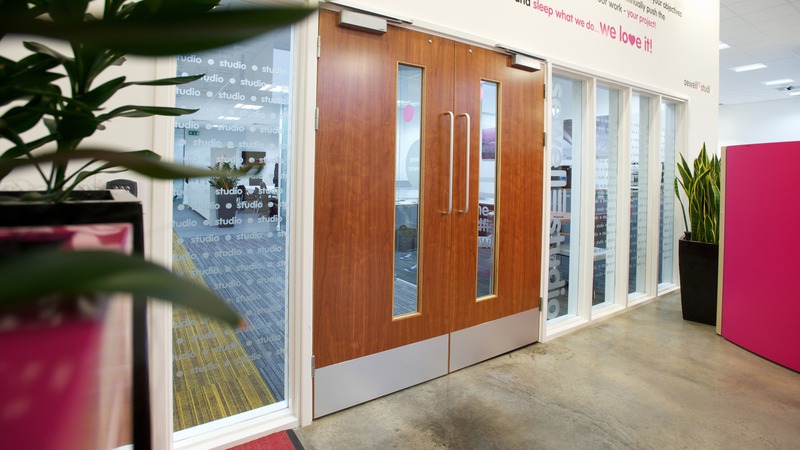 The use of factory prepared and installed architectural ironmongery ensures the door and its hardware are working at their most efficient. 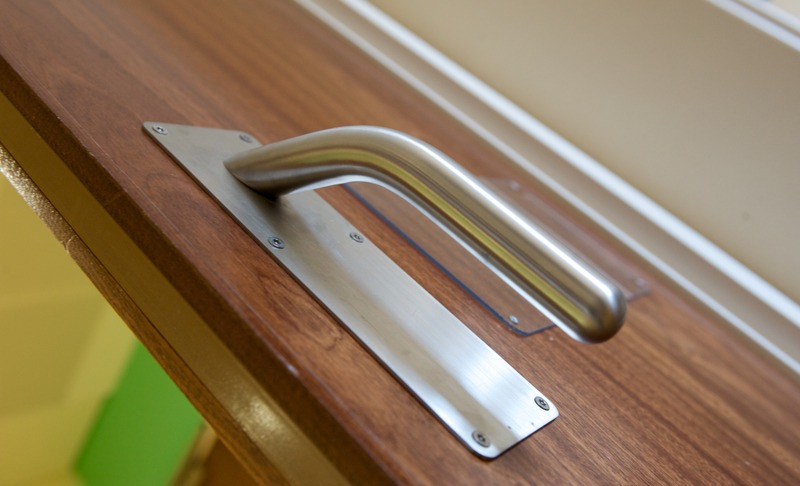 It is proven that the majority of maintenance issues are caused by incorrectly or inaccurately installed ironmongery. The resources and experience of Leaderflush Shapland ensures trouble free scheduling and delivery of our integrated solutions from a single source. 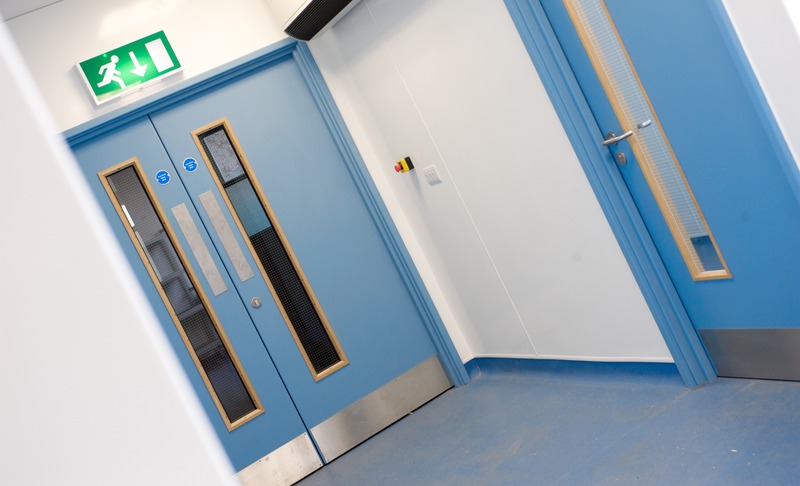 The reduced site work not only enhances the appearance of the doorset, it is more cost effective too, improving site coordination and reducing the risk of snagging and remedial work. 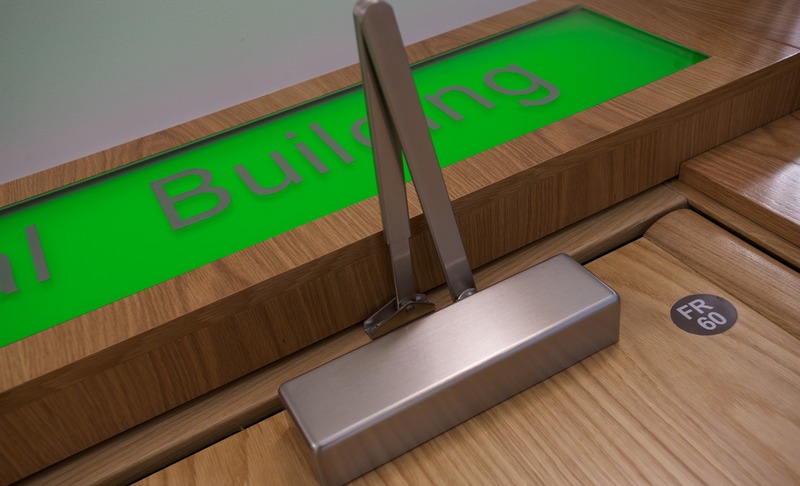 Superior durability and life cycles are ensured, while site preparation is eliminated as much as possible, increasing the accuracy of fitting, particularly of critical architectural ironmongery items such as hinges, lock cases and concealed door closers. This reduces stresses placed on the door, frame and operating hardware. Savings in site management costs, which are usually required to oversee the coordination of ‘multi-supplier’ provision, are achieved. The integrated performance doorset is subject to a 10 year guarantee on doorsets, assuming normal wear and tear. Conditions and usage must be in accordance to our recommendations. 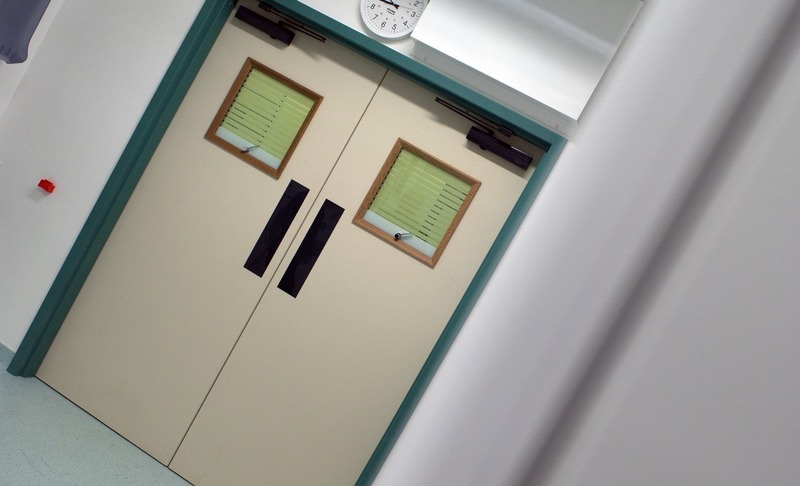 Leaderflush Shapland have created the integrated doorset with a view to moving towards the requirements of CE marking. This will enable us to CE mark products once the product standard for internal fire doorsets has been ratified. A doorset is more than a door and frame. Whether for aesthetic reasons, to reduce the amount of on-site work during installation or to optimise the accuracy and efficiency of the working doorset, preparing the door and frame in the factory for the glazing and ironmongery pays dividends. This is particularly so with items such as pivot sets, concealed door closers, lockcases and hinges where sections of timber need to be removed from the door and/or frame. Vision panels including options for style, glass type and beads. seriously reduce the efficiency of the door which in turn will affect the operation of any door closing device and the ability of the door to latch correctly. Factory preparation for standard ironmongery items ensures optimum performance is achieved, not only of the ironmongery items but the complete door assembly. 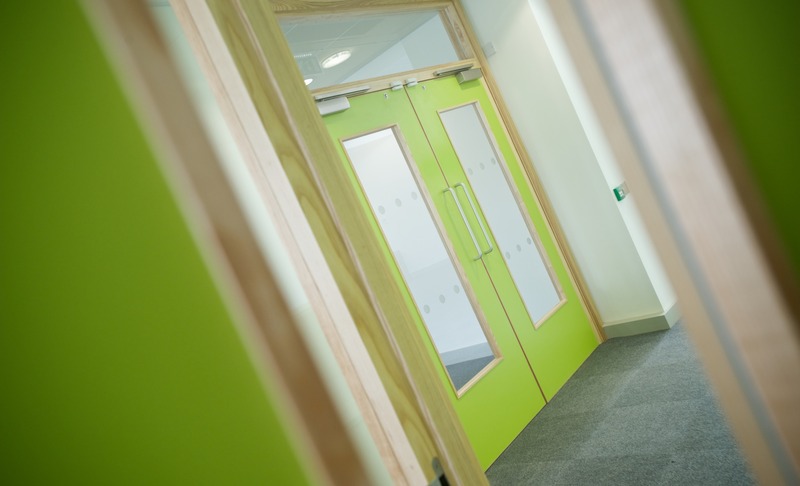 For fire door constructions, it ensures the minimum amount of timber is removed from the door which could negate the fire/acoustic performance. Avoiding ligature points and the fitting of specially designed anti-ligature ironmongery calls for fine tolerances to be maintained. Such accuracy can only be achieved with factory preparation of the door leaf and frame. The doorset - preparation for ironmongery. Lift off hinges are factory prepared and pre-fitted to the leaf and frame. Fixed pin hinges are factory prepared and pre-fitted to the door leaf. Doors and frames prepared for concealed closers, transom closer and floor springs if required. Face fixed closers are not factory prepared. 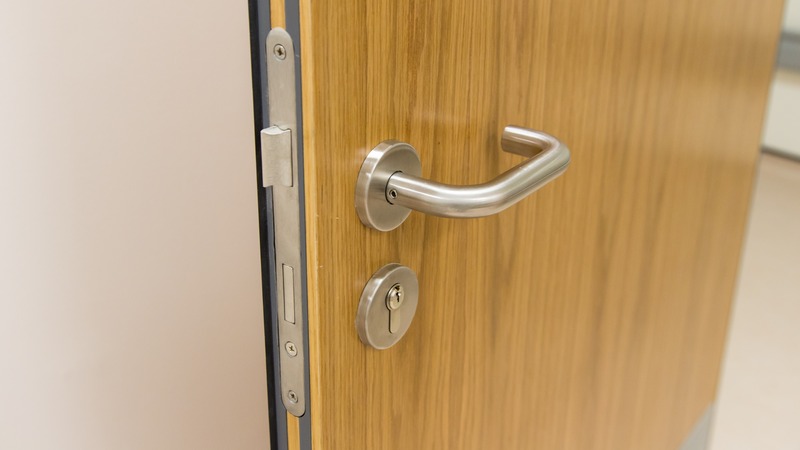 All intumescent, smoke and draft seals are factory prepared and installed to closely fit around hinges, lock forends, flush bolts and any other recessed hardware. Mortice lockcases are factory prepared and fitted and face drilled with the exception of single cylinder specifications. Lever furniture preparation includes face drilling for spindle. Flush bolts for double and leaf and a half doors are factory fitted in the edge of the door at the top and bottom. Frames are prepared for strike plates to suit the lock case specified including our unique adjustable strike plates for the lock cases. 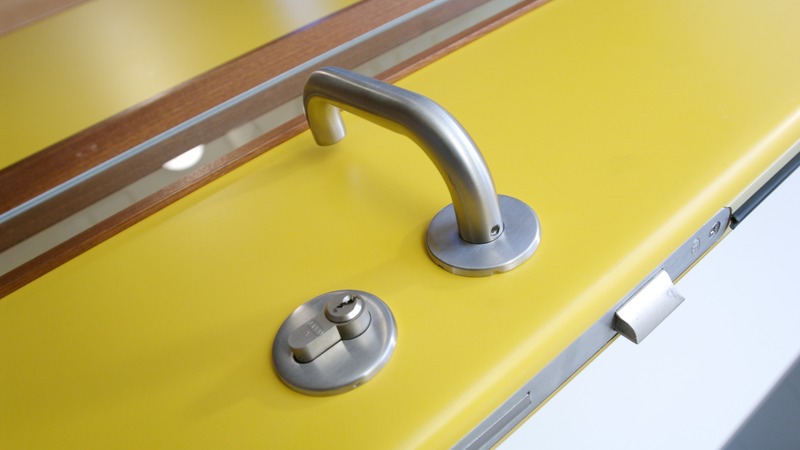 All surface mounted hardware such as push plates and pull handles are not pre-prepared. 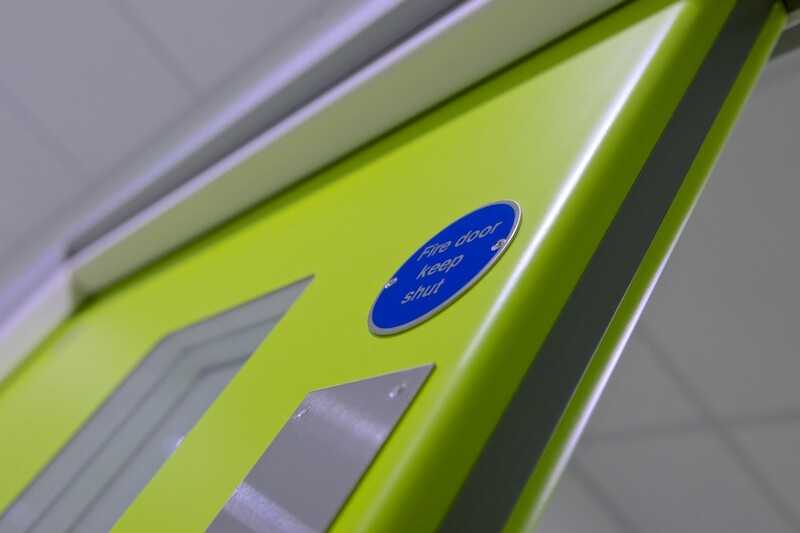 However, kick, push and finger plates can be factory fitted, either recessed, flush or surface mounted. Auto drop seals for acoustic doors are factory prepared and installed. These must be adjusted onsite to suit the floor. Architectural ironmongery - your choice. 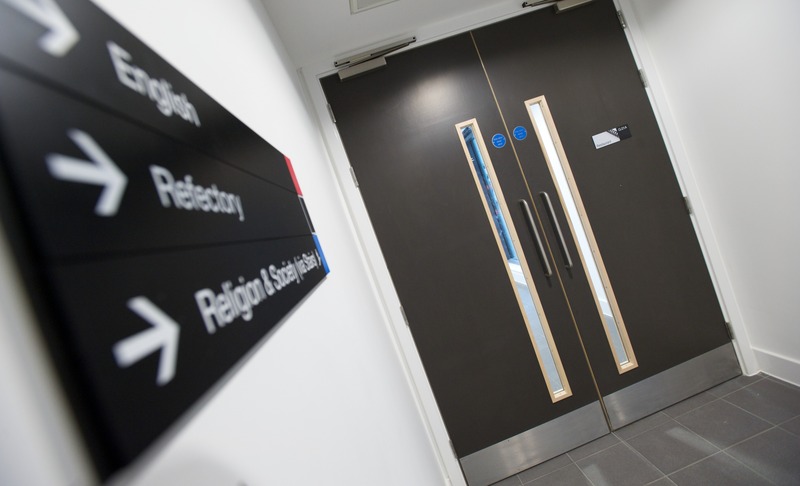 Combining performance-critical and surface mounted operating architectural ironmongery creates visual compatibility, enhanced aesthetics and offers the highest levels of standards compliance. Performance levels are guaranteed and the installation process is both simplified and speeded up by maximising the benefits of factory preparation and, in some cases, factory fitting of components. By incorporating all of the performance-critical architectural ironmongery as a fully engineered unit, the performance is guaranteed. Following manufacture, mortising Leaderflush Shapland ironmongery is included at no additional cost. This factory preparation and, in the case of non-projecting hardware, fitting of the ironmongery produces the quality of finish which simply cannot be achieved on-site. Leaderflush Shapland appreciate the diversity of our clients’ requirements and will provide a compliant bid to your specific enquiry or specification. This gives you the flexibility to choose your own doorset and ironmongery package to suit your particular project needs. Please note that we will not make any compatibility checks within this offer. Where a specific aesthetic concept for a building is required we can mortise for all architectural ironmongery hardware against free issue samples (provided that all recessed ironmongery has rounded corners) should an alternative range be selected. Leaderflush Shapland - delivering one great solution. As a leading partner and single source supplier, we can satisfy diverse customer needs, allowing you to benefit from our extensive manufacturing capability, technical expertise and innovative product solutions, whilst selecting complementary products and systems. Our aim is to deliver ultimate reliability. Our strategy includes continued investment in the business along with streamlining and efficient measures. That means you can depend on us to provide outstanding service and support. throughout the entire life cycle of your project – from design through to installation – we share our knowledge and expertise, effectively managing your project and consistently adding value. Everything we do is underpinned by robust project management. Our clearly defined processes have the sole aim of delivering the right product on-site, on time. This includes a single point of contact (where appropriate) and a key decision maker between your construction site and our manufacturing site, so you receive consistently great service.